May 6 – “Life in a Messy Garden” – Matthew 13: 24-30, 36-43; Weeds and Wheat – It’s not for us to judge. This is a prelude into the 7 churches so will include some information from Revelation 1 – every church has its ‘stuff’, every church is seen by God, but encouraged, challenged, and directed by Him because He cares about His church. 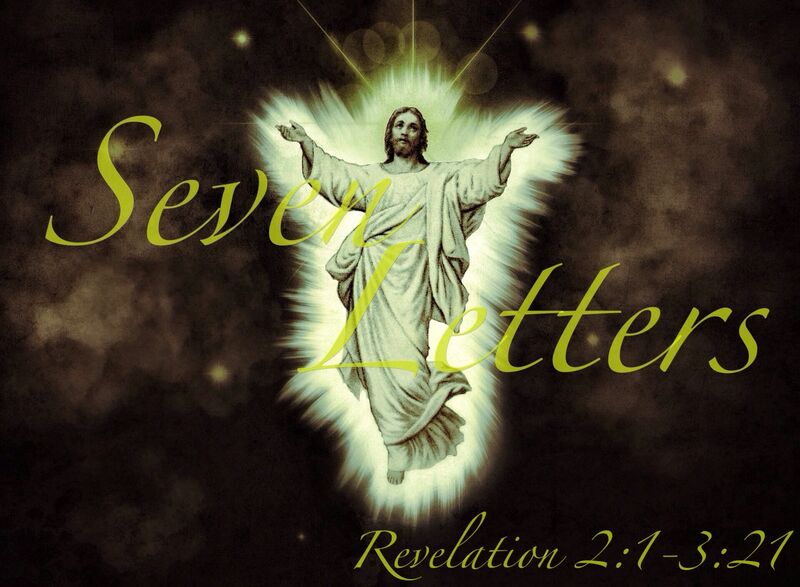 May 13 – Revelation 2:1-7 – Church at Ephesus – return to your first love. May 20 – Revelation 2:8-11 – Church at Smyrna – Remain faithful, do not be afraid. May 27 – Revelation 2:12-17 – Church at Pergamum – Full commitment, it’s all or nothing. June 3 – Revelation 2:18-29 – Church at Thyatira – He knows our thoughts and deeds, we must root out evil, because there are consequences. June 10 – Revelation 3:1-6 – Church at Sardis – Even though you look alive on the outside inwardly you can be dead. June 17 – Revelation 3:7-13 – Church at Philadelphia – Be encouraged, and stay obedient. June 24 – Revelation 3:14-21 – Church at Laodicea – Lukewarm, uncommitted, and approving of false teachings, need to repent.